The oldest shipyard in Brake was founded by the ship´s carpenter Hinrich Oltmanns in 1791. Up until its bankruptcy in 1901, some 143 wooden sailing ships were launched here, including galiotes, schooners, brigs, barques, fully-rigged ships and Weser barges. The shipyard was also well-known outside of the region, given the high quality of services, particularly in the construction of fast vessels. Accordingly, orders were placed by customers located beyond the Weser coastline, such as Hamburg and the Netherlands. Following the death of Ide Oltmanns senior in 1856, his widow Anna Rebecka steered the company for nearly 30 additional years. 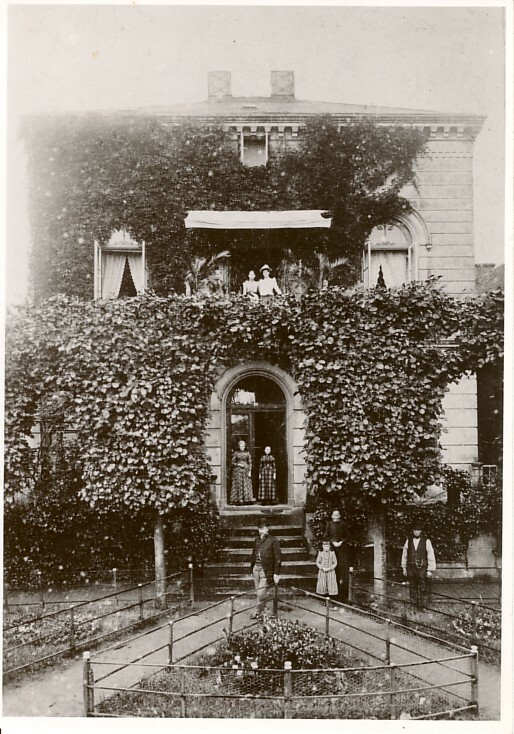 The villa of the Family Oltmanns, built in 1861, is a so-called “Helgenbaas-House” and has been maintained practically unchanged until today. In the middle of the 19th century, the ship construction along the Lower Weser experienced a boom. In particular, the shipyards were concentrated along the Oldenburg side of the Weser between Elsfleth and Brake. The first shipyards near Brake, however, had already taken root some 50 years prior to this development. Among the initially founded shipyards was the “Helgen- und Kiellichteranstalt“ owned by Hinrich Oltmanns. All that remains of this is the imposing residential house. Between 1790 and 1791, the master ship builder Hinrich Oltmanns established his shipyard south of the passage towards the Braker Sieltief. Today, the so-called “Oltmanns´ Villa” is the last structural remnant located on the site of the oldest shipbuilding place in Brake. Hinrich Oltmanns had received his plot for the shipbuilding yard within the framework of the so-called “New Facility”. The Grand Duchy of Oldenburg had purchased the land surrounding the inner city of Brake, divided it into parcels offered it for sale at rather affordable prices, aimed at enabling craftsmen and businessmen to easily relocate to Brake. Thereby, Oltmanns acquired the plot for his shipyard, however, he resold it to the state and entered into a leasing agreement. Such a trick respectively such a technique is common even today. Around 1815, Oltmanns´ Shipyard had approximately 20 to 30 employees, and it was thus the largest shipyard of the area, even larger than those of Dehls in Harrien or Strenge in Fünfhausen. Accordingly, Oltmanns was, and remains in retrospect, a true representative of the rich shipbuilding tradition in Brake and along the Lower Weser. Nevertheless, the change of course from building wooden to constructing steel ships could only be mastered by a few yards. Hinrich Oltmanns, coming from a family of shipbuilders, presided over the swift establishment of the "Helgen- und Kiellichteranstalt". “Helgen“ are sloped shipbuilding slips from which the vessels subsequently are launched. With the assistance of “Kielleichtanstalten”, special cranes, the ships were able to placed on their side. This means of allowing work to be done on the lower hull was necessary, given that dry docks were not available. Anchored in tradition, Oltmanns´ Shipyard remained in the family for more than 100 years. Primarily wooden vessel were built there, and the orders were placed by companies along the Weser, but also in other German harbors – notably Hamburg – and even from abroad as well. Maritime piloting boots were the main product. After the death of Ide Oltmanns in 1856, the company was led for nearly 30 years by his widow Anna Rebecka. In 1901, following the death of Ide Johann Oltmanns (junior), the family shipyard was closed down, and it was soon involved in bankruptcy proceedings. As of 1920, the company Braker Werft AG set up shop on the site oft he former Oltmanns´Shipyard, but it was engaged in carrying out repairs. Today, the front side of the residential house is decorated by a small park full of outdoor exhibits of the Maritime Museum and of the “Zwieseler Winkel“. 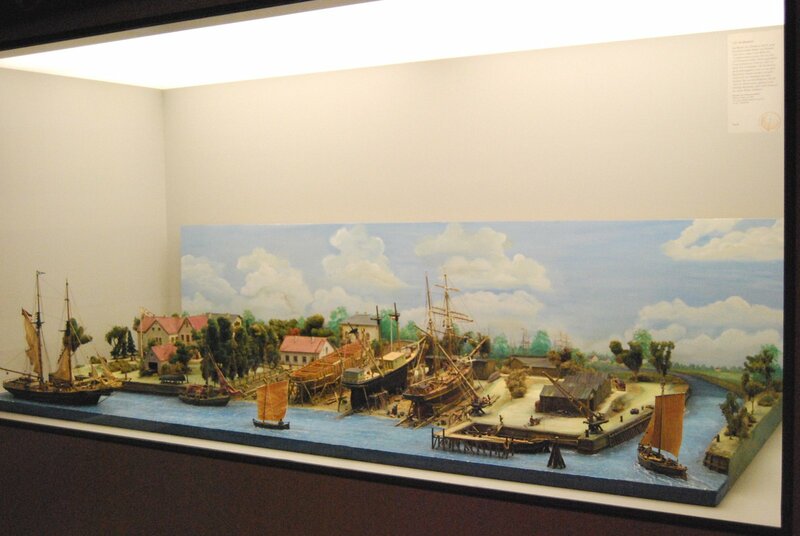 The museum’s "Haus Borgstede & Becker" holds a detailed diorama of Brake’s Oltmann shipyard and a map of former shipyards along the Lower Weser on the second floor. You can also see Hinrich Fassmer’s masterpiece: a frame model of a brig. The shipbuilder was the brother of the founder of Fassmer’s shipyard, Johann Fassmer. You can find information on 20th-century shipyards along the Lower Weser in "Haus Elsfleth". 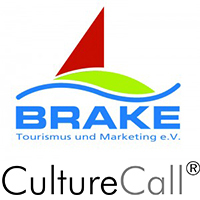 Culture Call: For this station, there is a CultureCall available, provided by BrakeVereins. Click the logo to reach the entry, or call one of the following numbers and select Station 13.